First I want to start off by saying that there are so many options out there, that you can get a headache figuring out which way to go. Most options have their pros and cons. I’ll try to show the ones I’m aware of, and hear from you guys about the ones I’m not. Also English is not my native language, so if you see any bad spelling or grammar, please feel free to use the comments and point it out so I can correct it. Right now I don’t have the money to pay for an editor, however if this is something I get enough donations from, I might be able to hire an editor for future Crypto Research Reports. What I’m sharing in this report is subject to change in the future, since new and better wallets might arise, so make sure you look at the date of this report because it might be outdated in the future. My use of the Exodus wallet is for daily use of crypto-currencies and not for long term storage. For example moving money to fund my crypto debit card, or to buy a plane ticket and deposit money on an exchange etc. This is the kind of use I have chosen for my Exodus wallet, and in this report I’ll go over why I made that decision. I welcome any arguments for or against the wallet which will help me learn more about it, or discover a better option that I’m not aware of. This is my very first CR report and welcome all the feedback both positive and negative. 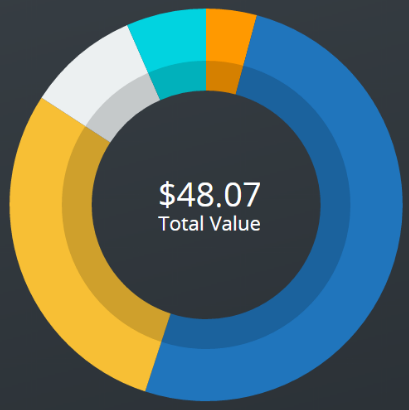 WHAT ARE MY FIRST IMPRESSION OF THE EXODUS WALLET? The first time you open Exodus Wallet you will realize that it’s something special. It’s self evident the extraordinary amount of work that is put into this software. Somehow it just comes across. Making this just work and flow and look great takes a ton of work and that work shows. Even the waiting (a few seconds) is so nicely designed that it’s actually pleasant to wait for the login for example or for the portfolio screen to update your balance. IS THE WALLET BEING MAINTAINED AND IMPROVED BY THE DEVELOPER TEAM? The Exodus Wallet was first released in mid 2015 and ever since then it’s been continuously improved. That is a good indicator that this wallet is possibly here to stay with us for a long time to come. It also shows that the team behind the wallet listens to community feedback and improves on the wallet. You have the options to be reminded later or upgrade now. If I click on the “Remind Me Later” button then the upgrade footer just disappears. I’m imagining it will remind me in the future soon. But there is no indication when it will remind me, which is ok. This is one of the benefits of the wallet that I like. I do hope they will add more crypto currencies in the future but this is a very good start. 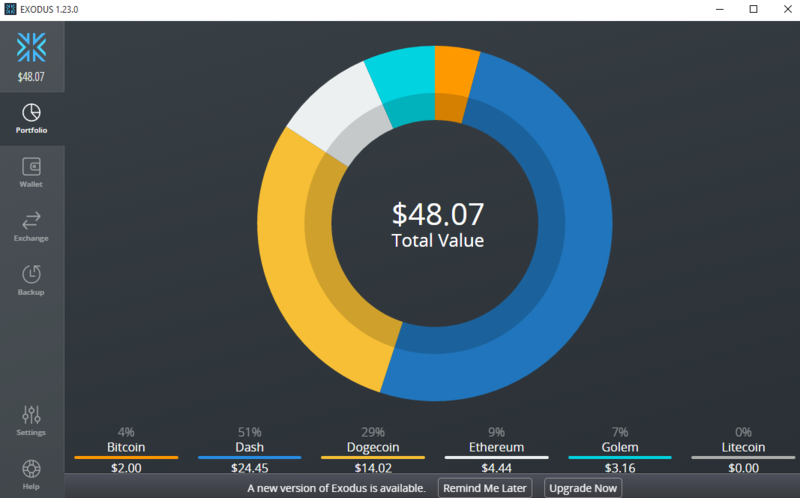 DO I LIKE THE DESIGN OF THE EXODUS WALLET? One thing that I noticed with the walled I download for Bitcoin and some altcoins is that they are all made out of the same mold. They seam to follow the same layout and just change the theme a bit like the colors, icons etc. In other words when a new alt coin is created they don’t design a new wallet from the ground up. I’m sure there is an exception to this rule but I haven’t seen it yet. It’s a very nice design and also I like the audible sounds you get like when you receive money it makes a nice sound. CAN YOU CUSTOMIZE YOUR WALLET? From the description what I’m understanding is that you have to have at least 2 assets and you can only hide them if the balance is zero. For example in my wallet right now the only asset I could hide would be Lightcoin since it’s balance is zero. Anyway I don’t plan to hide any assets since I plan to keep a little of every coin. Looks like they are adding new ones. The process of changing the look is simple; just click the button you like. If you don’t like the result you just click the next one. I have run into the Trevon’s Youtube channel so my guess is they picked Youtubers, but I might be wrong. Anyway it’s interesting that they did that. 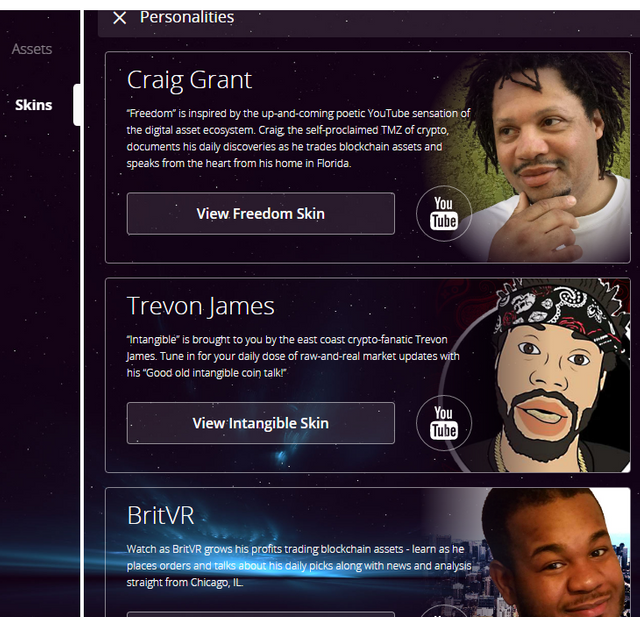 Who do you think the next personality to get a theme on the Exodus Wallet will be? 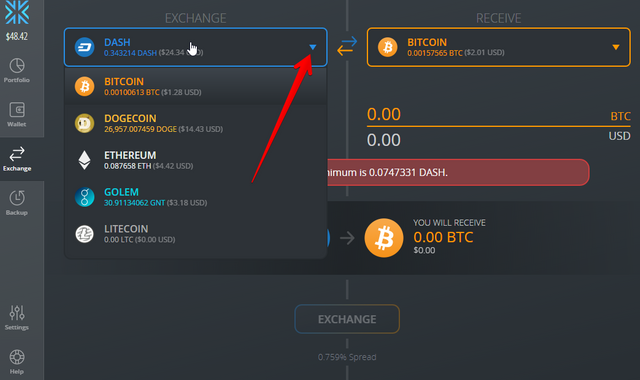 CAN YOU EXCHANGE THE CURRENCIES USING EXODUS WALLET? 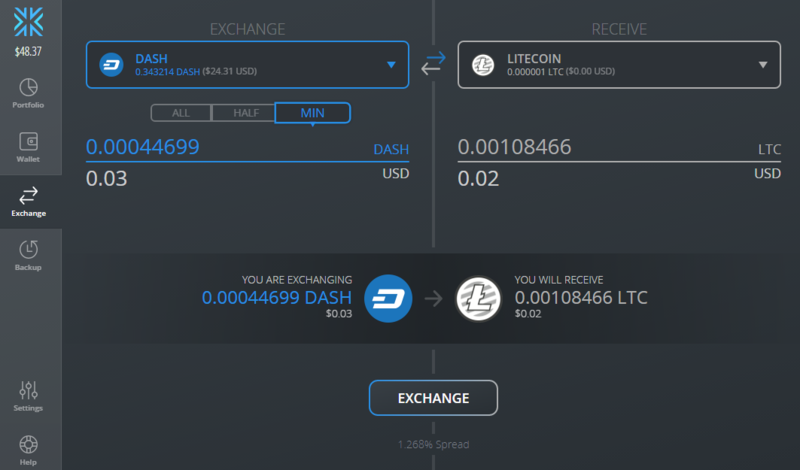 One of the cool benefits of the wallet is the ability to quickly exchange any of the 6 crypto-currencies among each other using ShapeShift. The process is simple and intuitive. 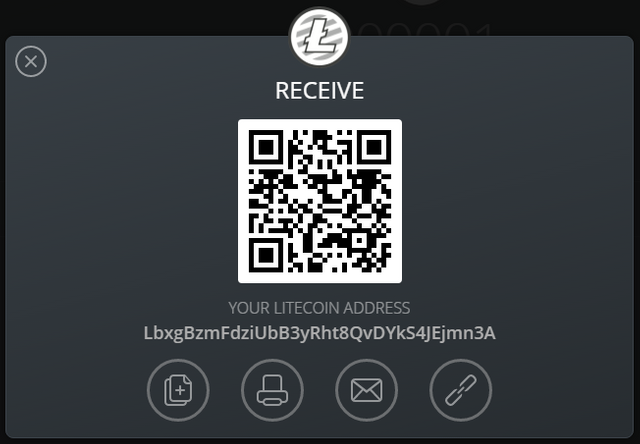 Lets say I wanted to get some Lightcoin since I have 0 LTC right now. 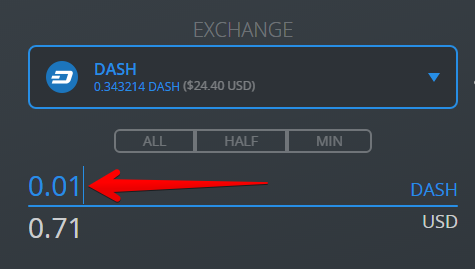 When you click on any of them the amount of source currency will be adjusted to the said amount for example in my case the “ALL” sub-tab being clicked will fill the amount of DASH to: 0.343214 DASH, which is everything that I have right now in the Exodus wallet. 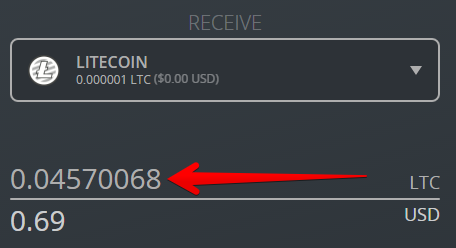 As you can see I would receive 0.04570068 LTC. 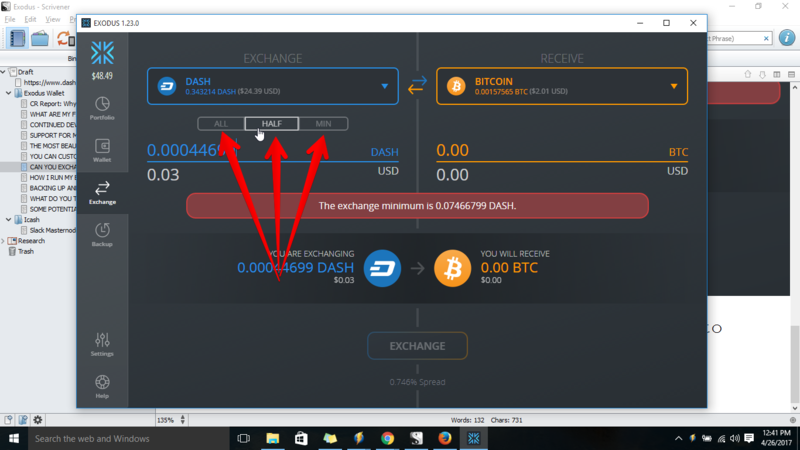 So I’ll run another test and increase the amount of DASH to 0.015 which should get me 0.06873455 LTC. It takes some time to do the exchange. It also states that it’s safe to quit the Exodus wallet while the exchange is in progress. I haven’t tested this yet. And there it will display the Time Remaining in the upper right corner in green color. Once the exchange is done you will get an audible sound that you have received your desired crypto-currency and you are done. Now I haven’t done much research on the rates but from what I have heard it’s higher then if you do the exhcange on a more liquid exchange like Poloniex or BTC-E for example where you will get a more favorable rate then on ShapeShift. This however is unconfirmed and if anyone has a link to a comparison please share it below. However for small amount and the convenience I think this is a great service. 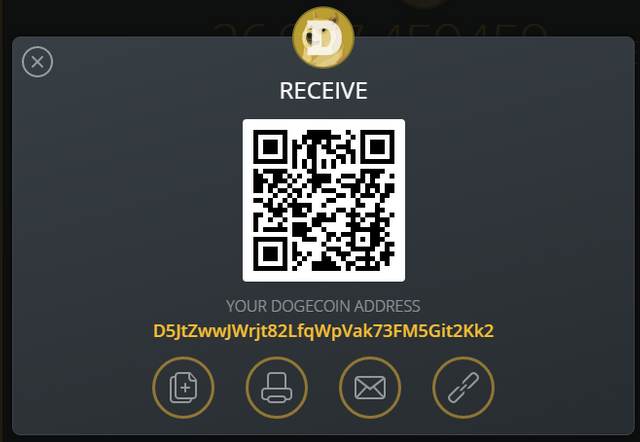 Let me know what you think about this benefit of integrating an exchange into a desktop wallet? WHERE DO I INSTALL MY EXODUS WALLET? I’m in the process of installing a Linux virtual machine and have the Exodus Wallet run on there from a USB drive. And as you can probably guess H: is the USB drive and it’s in the “exodus” folder. I’m aware this is not the best solution but it’s a start and it’s not on my laptop but in my pocket. What do you think is the best place to run the Exodus wallet? One of the first thing that I have done was to test the backup and restore process. I have to say that it’s was supper easy to do. The first option is Email Backup. 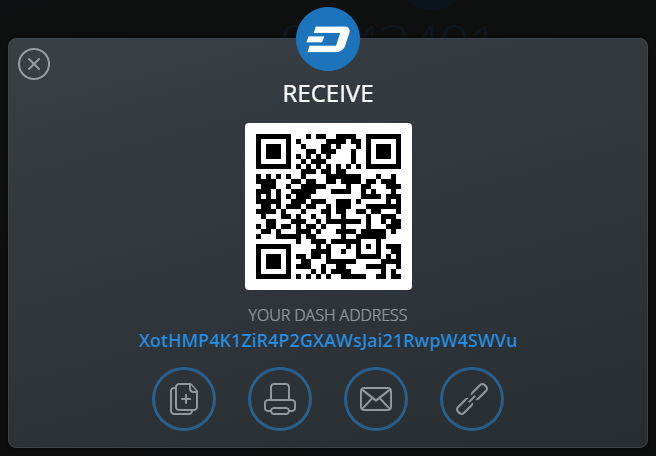 What this does is just emails you a long link that you can use to restore your Exodus Wallet. If I had all my life savings in the wallet, I can’t imagine I would use this option, but for transnational amounts I have decided to use it. I have tested it a few times and it works with no problems. What has run through my mind is if you send this to an web based email provider and an employee gets your backup link. Can they steal your wallet? From what I know right now the answer is no, they would have the wallet and the amount in it, but they would still need to get in the wallet using that long password that is in my head. Please let me know in the comments box if I’m wrong about this. Can someone who has my Exodus email backup link get into my wallet and send currency to an address out of my wallet? 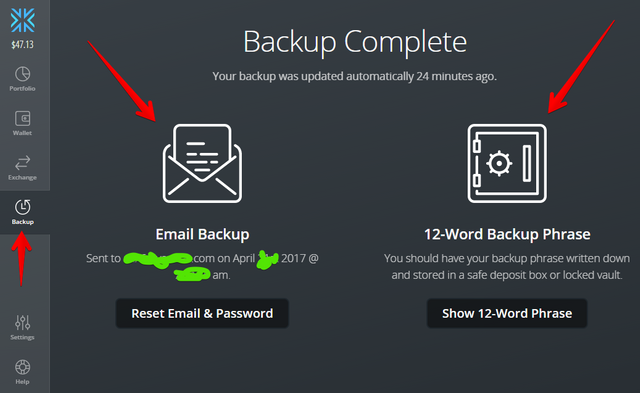 The second backup option is the 12-word backup phrase. So I saved that in an encrypted file of the computer on my backup drives. Again this will not be my long term storage wallet so for now this is my approach, and I’m open to improvements. 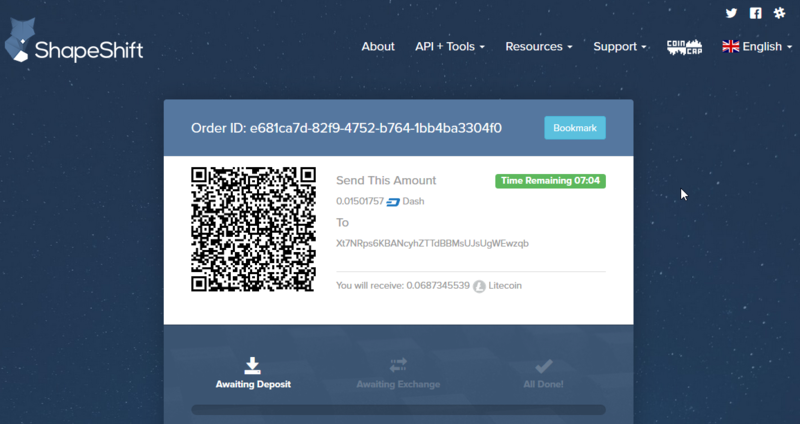 One concern that has been raised by a few people is that exodus uses one address to receive coins. In other words you can’t change the address. This potentially gives hackers and others a way to try to track what transactions you are involved in. At this point for me this is not a huge problem because of my limited use, however this might be a problem for you depending on how you use the wallet. Another problem I have heard but doesn’t affect me is that it doesn’t enforce strong passwords. To me it should be the user who decides how strong of a password they want. Mine is pretty strong and I’m ok with it. And the final thing that I have heard that it doesn’t have two factor authentication. I personally don’t care right now to have it, since it’s a small amount for me, however this might be a big deal for you. WHAT DO YOU THINK ABOUT THE EXODUS WALLET? Have you tried the Exodus Wallet yet? What are your impressions? Do you have any concerns about it? Feel free to leave your feedback or questions below. Any any donations or support for this and future research are welcome. I plan to spend 4 hours per day researching everything relating to crypto-currency and share it with you. Thanks! I was wondering the steps to move my wallet to usb. This works fine moving the usb to 64bit systems. I will test later moving the usb to a 32bit system, I dought it but worth a try. They do not have an exodus wallet for windows 32 bit ;-( ?? @brianadams, that didn't cross my mind when I was writing this review, but you make a great point tons of people have 32 bit windows computers still. I wonder if you run the 32 bit Linux emulator if you can then get the wallet? There is a virtual box and vmware player and I think one of them has a 32 bit version and when I was downloading Linux I think one of them was 32 bit, then you can try to install the wallet see if it works. Not sure if ti's worth all that trouble but that is the only idea that came to mind. Thank you, let me try i will get back to you. This post has been ranked within the top 25 most undervalued posts in the second half of Apr 26. We estimate that this post is undervalued by $4.62 as compared to a scenario in which every voter had an equal say. See the full rankings and details in The Daily Tribune: Apr 26 - Part II. You can also read about some of our methodology, data analysis and technical details in our initial post. Thanks @screenname. How did you come up with that? Dude, that's an automated message from a bot or something like that. After short thinking I wouldn't wonder how many people have thought of farming STEEM with bots. Nice post. I have a quick question. I just installed Exodus on my pc and I clicked on the backup tab but it said "Waiting for your first Deposit". Were you only able to set up the backup (12 phrase etc) once you deposited something in your wallet? 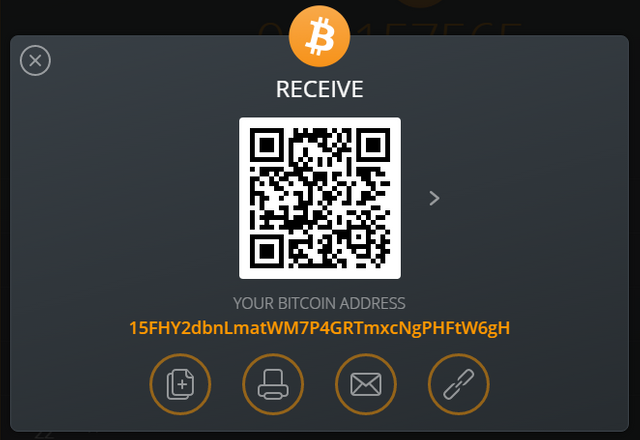 Also, with the whole one address thing with exodus, to be more secure would you suggest getting another wallet so that we can have more than one address especially if we are looking to play the long game? On your first question to be honest I'm not sure, I had some money in it already and the backup did work. 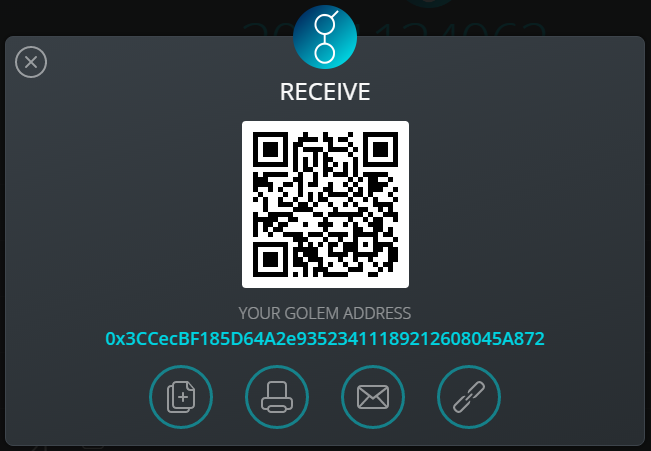 As for second question I have 2 wallets this one and Coinomi (android) and also a half a dozen qt wallets and a myeather (local HTML) wallet. I think the more you diversify wouthout loosing control on the complexity the better. I noticed the same problem. Do we have any update regarding there fees? 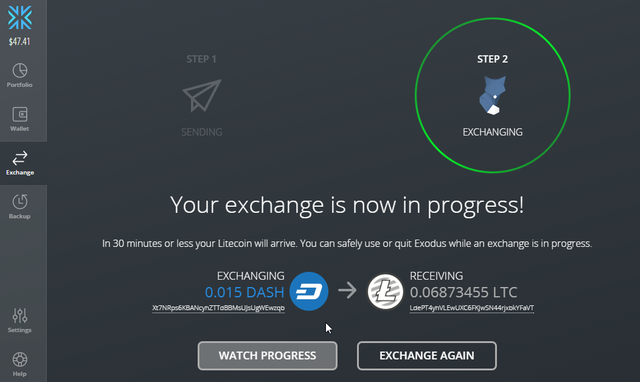 Also what are the fees for the exchange services they have ? 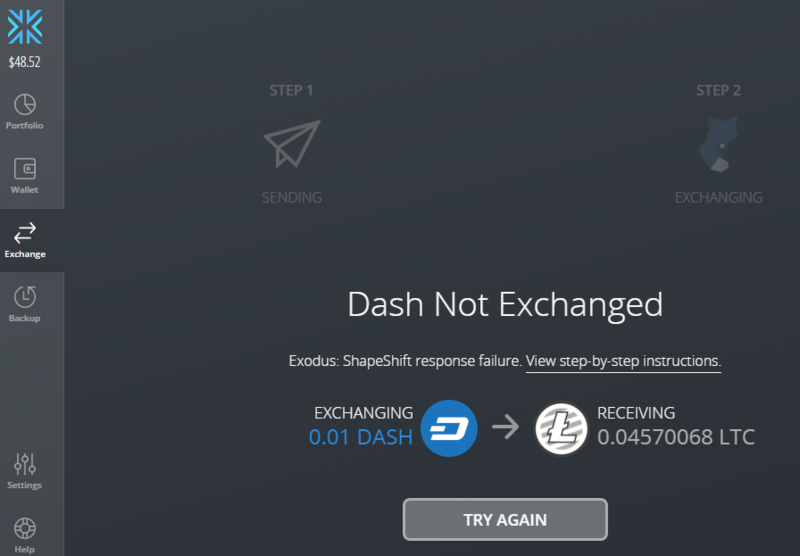 I got this from Exodus themselves: "The rate you get using Exodus or directly through ShapeShift's website is exactly the same, there are no extra fees for our users when they exchange inside Exodus." Yeah I believe you are correct. Obviously there is going to be some fees from the underlying service that allows the exchanges, especially since its not on an exchange like bittrex. Yes, the actual exchange will have some fees, which is reasonable since this is their way of income. 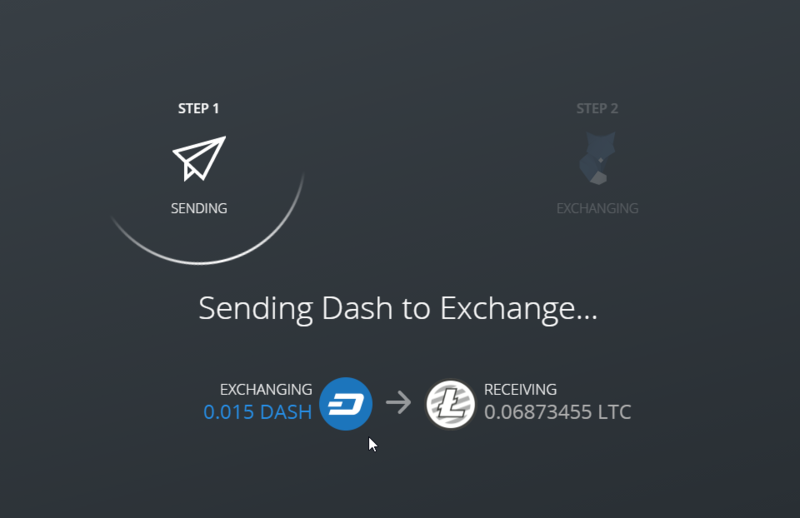 But that Exodus doesn't add fees on top of that is just really great, because that makes exchanging the currencies so much easier - you can do the exchange from within the application, instead of moving the funds manually to and from the exchange. 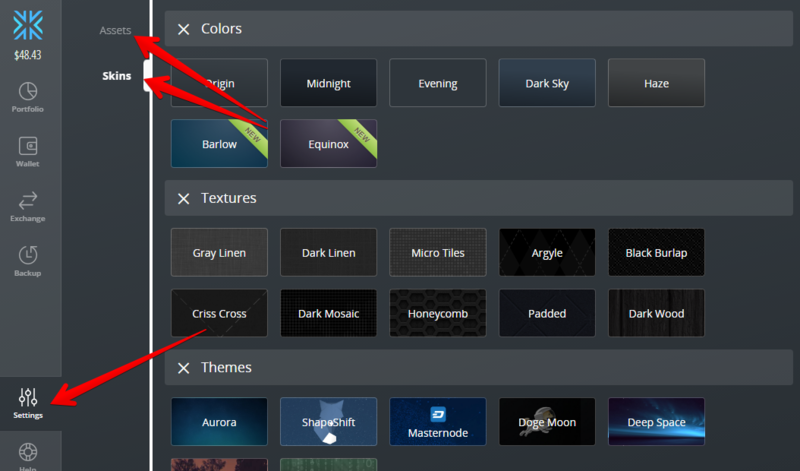 Kudos to Exodus for this feature! I would imagine the fees would be more reasonable on an exchange though, especially if you're into day trading. @birdperson, I may have misread your post, so if my reply isn't relevant you know why. I sent some coins to my Exodus wallet. How can I see what fees were included in these transactions?